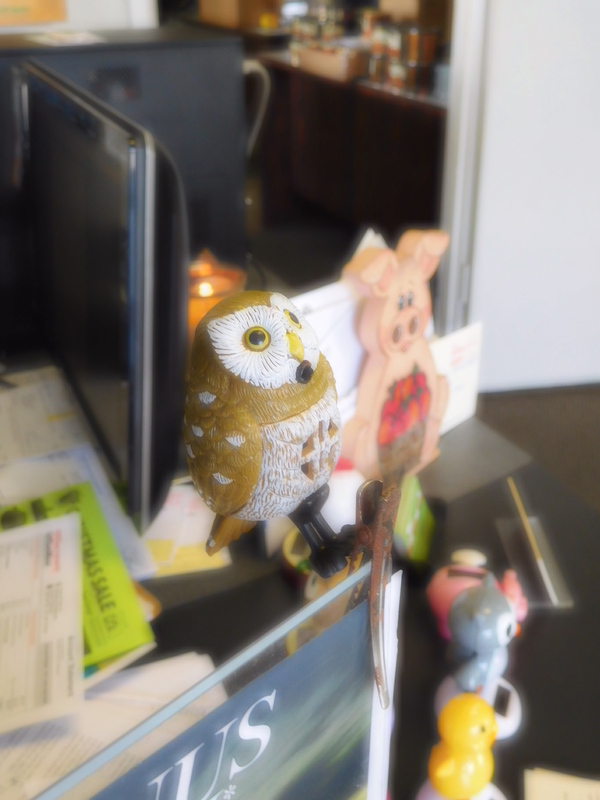 This little owl has been clipped to one sign or another on my desk for over a year. I never noticed that he had a sensor or speakers. Don't know why. The boss asked why he didn't make any sound and I said he didn't do that. He was just a clip. He unclips the owl and turns him over to discover the tab blocking the battery has never been pulled out. Huh, how about that! Of course now that the tab is out the little guy sounds off every time someone walks and ironically also sounds off every time someone drives through the parking lot out front. Lovely. Not! ROFLMAO! Time to put the tab back! That's exactly what I did especially when it kept going off at random times. That little owl is very cute! Cute though he might be, his tab is back in. He would go off for no reason at all except maybe the palms waved out front. He's back to cute but silent. His tab firmly back in place.